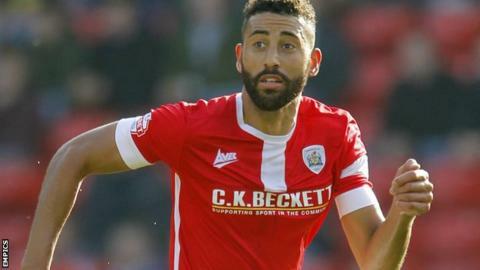 League One side Barnsley have announced they will release seven players when their contracts expire this summer but are in talks with Lewin Nyatanga. Nana Boakye-Yiadom, Martin Cranie, Kane Hemmings, Leroy Lita, Jean-Yves M'Voto and Rhys Oates have been told they will not be offered new deals. Tykes defender Nyatanga, 26, scored five goals in 51 appearances this term. Boss Lee Johnson has also placed midfielder James Bailey and striker Milan Lalkovic on the transfer list. Barnsley finished 11th in League One this season, seven points off the play-off places.